17 Million Fraud At J’ Pura Hospital: Susitha Senaratne Pays Himself Via Wife’s Proxy Company! The fake director of Sri Jayewardenepura General Hospital (SJGH) Susitha Senaratne’s wife Ancy Senaratne’s proxy company has been awarded a mega deal ensuring that Susitha Senaratne and Ancy Senaratne have paid themselves Rs 17 679 747 of public money between the time period of November 2015 to December 2018. These facts have been revealed by Government Auditor’s audit query in to this massive fraud dated 10.01.2019. As soon as he was illegally appointed by Rajitha Senaratne to the post of director SJGH in March 2015, Susitha Senaratne, the infamous political stooge of the minister lost no time in venturing in a series of financial frauds that have been repeatedly exposed in Colombo Telegraph and other main stream Sri Lankan print media. The Ministry of Health, the Presidential Secretariat, the Prime Minister’s Office and the Auditor General of Sri Lanka have not taken any action regarding the alleged financial and administrative crimes surrounding the illegal appointment and the financial frauds committed by Susitha Senaratne since 2015. In spite of repeated revelations, and strict instructions by the COPE, successive Secretaries to the Ministry of Health, namely, Anura Jayawickrama, Janaka Sugathadasa, AMKK Aththanayake, Wasantha Perera have not taken any step to rectify this illegal appointment by appointing a qualified public servant to this position. Those Secretaries to the Ministry of Health have only proven that the Sri Lanka Administrative Service is nothing but a collection of professionally naked men and women who are prostituting the SLAS. The chairman of J’ Pura Hospital Dr Athula Kahandaliyanage has been the consistent protector of the illegal appointment of Susitha Senaratne. 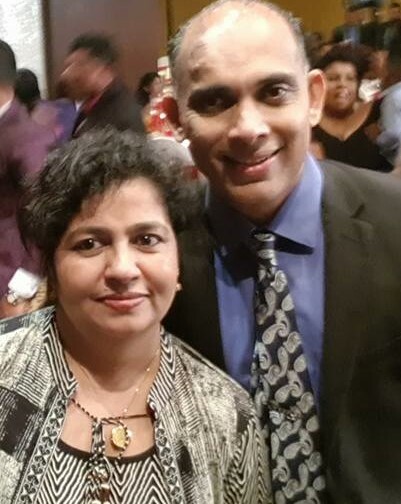 He, along with Rajitha Senaratne’s political stooges at the Board of Directors of SJGH misinformed the COPE, the Ministry of Health and the judiciary, in a series of administrative manipulations that lead to the perpetuation of Susitha Senaratne’s illegal appointment as director SJGH. The only gentlemen of the Board of Directors to oppose these serious crimes were Dr Kanishka Indraratne, Dr Madhava Karunaratne and Dr Prabhath Ambawatte who, through an independent submission have informed the courts that official and moral stance differs from the rest of the Board. All other members of the Board have been complicit in these crimes. Athula Kahandaliyanage was and is the Chairman of the Procurement Committee of SJGH. However Colombo Telegraph learns that on 10.01.2019 when this Audit Query was made by the Government Audit, it was Dr Anil Jasinghe who was the Acting Chairman of SJGH. Susitha Senaratne has also been a member of the Procurement Committee since 2015. The wife of Susitha Senaratne, Dr Ancy Senarante is a medical officer of the OPD of the Central Hospital, Maradana. On 26.12.2015, Ancy Senaratne has been a member of the Board of Directors in a company called Telechanneling PVT ltd. As per section 1.4.2 and 1.4.3 of the Procurement Guidelines and the common law of the land, it is a financial crime to have a conflict of interest in awarding tenders and being involved in any way in the process of procurement where a family member stand to gain financially. It is mandatory for any such officer to declare his conflict of interest and refrain from being involved in any manner in the procurement or evaluation process. Both Ancy Senaratne and Susitha Senaratne have knowingly and willfully been involved in the fraud that Colombo Telegraph will reveal below. Within just 3 month of his illegal appointment Susitha Senaratne submitted a Board Paper numbered 360.06.04 suggesting the conversion of the document system of SJGH to digital system which got the blanket approval of the Board without as much requesting a feasibility report. No analysis was done about the cost of building, man power, overheads or any other cost for the implementation and the sustenance of this “project”. 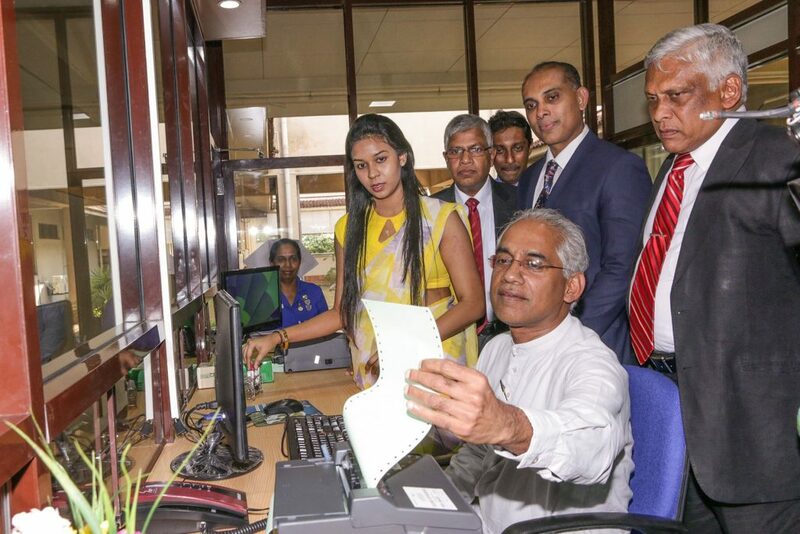 By December 2018 Susitha Senaratne has ensured that Rs 15 879 747 was spent on “scanning and uploading of documents” and yet another Rs 1 800 000 as spent on establishment of the software and licensing. The irony of all this is that the so called gentleman proponent of Yahapalanaya Eran Wickramaratne declared open this fraudulent project which has resulted in making Ancy Senaratne, wife of the fake director of SJGH earning over 17 million rupees of the J’ Pura Hospital earnings. These thumping amounts of money have been paid to himself and his wife by Susitha Senaratne in a backdrop of slashing the overtime payment of doctors, nurses and other staff and slashing medical benefits of employees. The J’ Pura hospital runs at a loss of Rs 4 million per day while its director has been paying himself and wife millions of rupees fraudulently. The key fraudsters of this mega day light robbery of public money are fake director Susitha Senaratne, his wife Ancy Senaratne, and a close friend of Susitha Senaratne called Nuwan Dehigaspitiya ,the so called IT Consultant of J’ Pura hospital. One of the first recruitments done by Susitha Senaratne upon assuming duties was to set the stage for this mega fraud by advertising and recruiting Nuwan Dehigaspitiya, as the IT Consultant for SJGH. He received salary of over Rs 100 000 per month for making 2 to 3 cameo appearance to provide the “technical cover” and fraudulent reports to cover up Susitha Senaratne’s “IT Projects”. He hardly ever reported to work on designated days. According to the Government Auditor’s report on SJGH, the technical specifications for the digitalization project was never referred to a Technical Evaluation Committee. Susitha Senaratne and Dehigaspitiya singlehandedly developed specifications to ensure that his wife’s company will be awarded the tender. Following the development of custom made specifications, the project as advertised and the tenders received were forwarded to the Tender Evaluation Committee for recommendation. During the Technical Evaluation Nuwan Dehigaspitiya consistently refused to attend the TEC evaluation meetings and finally succumbed to regulations and presented himself. However he submitted a technical report stating “strongly technical reasons” for the award of the tender to Ancy Senaratne’s company. Susitha Senaratne Appointed The Technical Evaluation Committee! According to the minutes made in the documents, it is Susitha Senaratne himself who has appointed the TEC for the evaluation of this large project. The appointment of the TEC is the duty of the Chairperson of the Procurement Committee. Hence Susitha Senaratne is in gross violation of the law in going beyond his mandate to facilitate the selection of his wife Ancy Senaratne’s company as the service provider. The Government Auditors report claims that the time table for the evaluation was not followed. It is also revealed that the technical specifications that were developed without the TEC were tailor made to ensure the selection of Ancy Senaratne’s company. The members of the TEC were limited by the already approved specifications approved by the Procurement Committee. The Government Auditor has further proclaimed that the opening of the tenders also occurred in a fraudulent manner. There is no evidence that a Tender Opening Meeting was conducted. There is no evidence that the tender documents of the competitive bidders were even forwarded to the TEC. The documents were manipulated by the time the tender file was prepared. Due to the manipulation of the appointment of members to the TEC by Susitha Senaratne he has ensured that no member with the technical capability was appointed. He appendaged Nuwan Dehigaspitiya in to the TEC to ensure that the TEC will be dominated by his “professional opinion”. The TEC members have not been able to fully evaluate the insufficient documents at this evaluation. These tender documents were sent to Dehigaspitiya’s home via the secretary of the director Anjana Senadanayake without the knowledge of the TEC members, Colombo Telegraph reliably learns. Colombo Telegraph on numerous occasion has revealed that Senadanayake is instrumental in the fraudulent activities and mediation of bribery and corruption between Susitha Senaratne and service suppliers to SJGH. Ancy Senaratne’s Company Is A Phantom Company! One of the most serious revelations made in the Government Auditor’s report is that an inquiry carried out by the Government Auditors has revealed that Ancy Senaratne’s company is nonexistent. The visiting of the address revealed that such a building or place does not exist in reality and the telephone numbers given were also proven to be fraudulent. Therefore it is clear that the fake director of SJGH Susitha Senaratne and Ancy Senaratne have committed a mega financial fraud. Susitha Senaratne, political stooge of Rajitha Senaratne has been occupying the office of director SJGH with the help of Athula Kahandaliyanage’s administrative corruption since 2015. He has no qualification whatsoever to hold this post. The Court of Appeal has suspended Susitha Senaratne from sitting at the meetings of the Board of Directors. However, amidst serious allegations of financial and administrative corruption Rajitha Senaratne has protected Susitha Senaratne and is said to have re-appointed Kahandaliyanage for the purpose of protecting the fake director to the end. 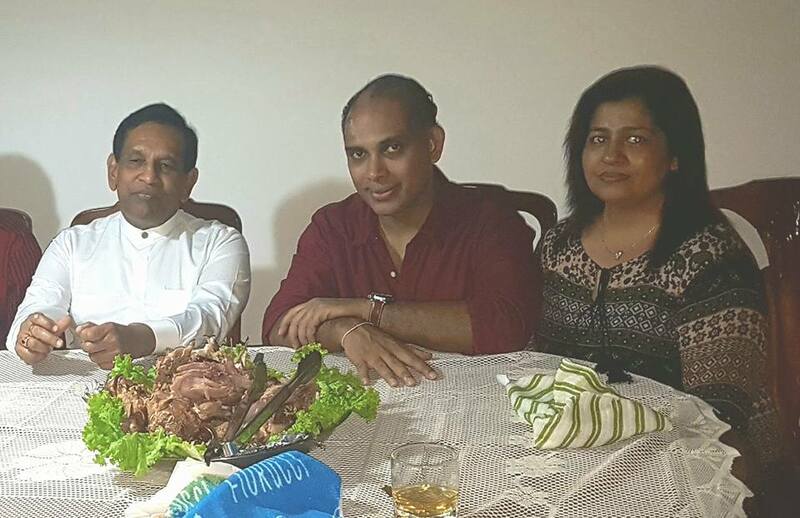 On the 11th of January, Susitha Senaratne hosted a liquor drenched gala attended by just 10 Specialists out of 45 and office bearers of the SJGH GOMA branch who are servile to Susitha Senaratne. 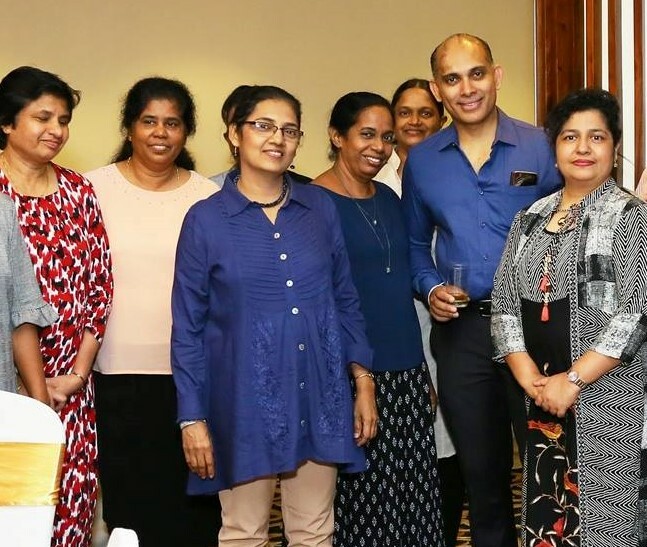 A large number of nurses, nursing sisters and the four matrons namely Anodani Saputanthri, Kala Karunarathne, Vishakha Weerasinghe, and Samitha Senanayake were seen eating, drinking alcohol, dancing and merrymaking at this event. 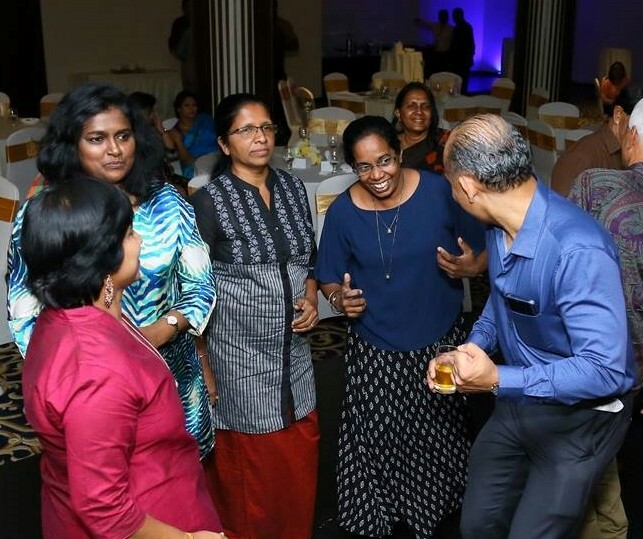 At this party, employees were planted to intensely lobby with the minister and sing praise of Senaratne to appoint him as Chairman, displacing Kahandaliyange. A group of SJGH employees are expected to report the financial crimes of Susitha Senaratne and Ancy Senaratne in the days to come. Ancy Senaratne and Susitha are Colombo 7 socialites. they are highly connected and knows all the hierrachy. CT will get into deep water by highlighting them. No. They are not Colombo 7 Socialites. Susitha Senaratne is from Anuradhapura. He went to St Joseph’s College ANURADHAPURA. His mother was a sales lady in a pharmacy in the Anuradhapura “Kada Panaha” area. His father was a technician. He came to Royal College passing the Grade 5 Scholarship Examination. He was expelled from Royal College in his AL year for making a sexual advance at the Chemistry Teacher. This incident brought the teaching of Royal College to a halt. Contemporaries at Royal College know this. He went back to Anuradhapura St Josephs after being expelled from Royal College. He appeared for AL exam from St Joseph’s Maradana. Now he portrays himself as Colombo Josephian when it suits him and a Royalist when it suits. him. He has been a political stooge and living hand to mouth till he came to SJGH and became a multi millionaire. He is just a dealer and a con man for Rajitha Senaratne. He stands behind PM in rallies next to body guards. 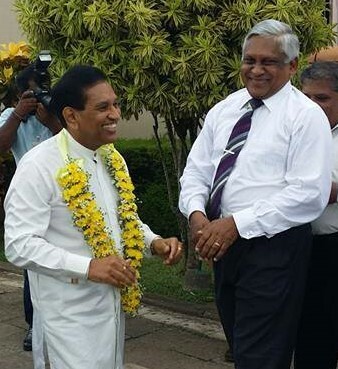 He runs after every political appearance of Rajitha Senaratne like a puppy. Does that sound like Colombo 7 to you? As for Ancy Senaratne, she is from an under privileged hill tribe in India. She won a quota scholarship for marginalized people from Indian govt. She met Susitha Senaratne in Russia where they were studying medicine. She is just a medical officer in Central Hospital Maradana She as just a doctor earning less than Rs 95 000 per month. Now she is globe trotting with the stolen money of the public money. Does this sound like Colombo 7 to you? Does this sound like Colombo 7? Yes -it unfortunately does. Colombo 7 is the slimy den that has been destroying this country steadily. I don’t need any further moral reason for federalism than Colombo 7. Dont get me wrong, I am not a red comrade from down SOuth. I am an inveterate capitalist. Colombo Telegraph has challenged bigger fish than fraudsters such as Susitha Senaratne and Ancy Senaratne. Colombo Telegraph is also the only fearless website who has had the guts to expose such corruption. Susitha Senaratne and Ancy Senaratne are nothing but thieves. How can these no bodies touch Colombo Telegraph? Colombo 7? This guy is from Anuradhapura somewhere, pretending to be Ranil’s boy. Bone licker of politicians and a stooge of Rajitha Senaratne and Ranil W. These shameless politicians and their boot licking dogs are looting the country. This is a person who came form the wilderness of Anuradhapura, now pretending to be a socialite. Everybody knows who he is and what he is. His mother was a woman in a shop in the “kada panaha” area in Anuradhapura. His wife is not Colombo 7, she is from south India. He is giving fabricated interviews of his “life story” to weekend newspapers. Doesn’t matter his roots. The fact is that he has done a mega fraud. His thieving wife and this thief both should be arrested! What is the chairman and the board doing? Are they protecting him as ususal? Great work. Now you can afford to a mistress, and channel future stolen funds through the mistress, and your wife know that. Mistresses are great cover, as you can claim that the mistress is not your wife. As the photos correctly show Susith Senarathne (Rajitha’s first cousin?) is a total drunkard. Over to you Mr. President. Where is your Yahapalanaya government ? Can we the citizens know what action you are going to take on this family fraud? DEPATH NAYA STEVE: When it comes to other things, it is the Ranil who manages the Cabinet. when it comes to coruptions it is the PResident. All 225 know they all have closet full of CRAP. So no one wants to remove nyone. They all ask voters to send only the good politicians. But it is their crappy consitutions both the party and for the ccountry that keep them, the thieves, inside. both Ranil and Mahinda Rajapakse are well known for their antiques. @JD, I am sure Tamils, NGOs and the international community had something to do with this too? Please enlighten me with your eternal wisdom! Steve, you’ve got to be joking! Mr. President is complicit in all these frauds and has suddenly become the 3rd richest man in the country. How do you think that happened? Forget about ‘justice’. This lot is as bad as any that went before, so let’s just forget about “Mr. President” doing anything even remotely considered to be “just”. Who can save Sri Lanka?. Ranil &co is no better than MR team. Within 3 years they swindled more than what MR & co did in 10 years. why is the CID not arresting these rogues.Sleeping as usual.Someone please make a complaint. Shankar, please stop asking silly questions. You very well know why the CID cannot and will not do anything to arrest these hoodlums. Look who the accused are related to and friends with. Do you think the head of CID can arrest them knowing they will lose their jobs. yes,we have got rid of one set of thieves and replaced it with another.Then we will get rid of these thieves and bring back the earlier thieves and so on so on. If they find tht there is a try to arrest, phone Ranil and solve the problem. That is why politicians claim some one will get arrest on this day that day etc., both MR and Ranil have the same way of governing. RanilW and Maitee, both are silent on Rajitha who is probably the no 1 robber within the gang of robbers in the Yahapalana regime. Even ArjunM and RaviK seem to be lagging behind him because Rajitha has a diversified team of robbers around him while others are only a Royal circle headed by RanilW. How can the CID arrest them when both the President and the Prime Minister of the country protect these rogues with ministerial positions. All these bloody crooks should be rounded up and legal action has to be instituted against them, and if proved guilty , sentenced to a long prison in prison, their properties and assets seized to compensate for what they have robbed. What is the vociferous , bullshitting president doing about it.? Instead of foolish blabberings, get down to action or get out, back to your muddy paddy field . This is money that belongs to the people of the country being robbed by blatantly corrupt politicians. Why are you tolerating it, unless you are are also in it? For god’s sake get on with the job or get lost into the wilderness where you came from. I don’t have an email address for the president, otherwise I would send it direct to him. The right thinking people of this country, do not be silent. Raise your voices, get on the streets in protest, or you will be as guilty as they are. Rise up in protest and save the country for god’s sake. Athula Kahandaliyanage ,if you didn’t collect your share form this deal, go and report Susitha Senaratne to the police. You have helped him to steal 17 million rupees o our hospital money by letting him appoint the TEC. If your hands are clean, go and report him to the police. We the Junior Doctors of SJGH challenge you? Wait and see what Kahandaliyanage does with this issue. It will be the litmus test. As per the law, he should report this crime. If he does the usual paper pushing it means he is also stealing with Senaratne or he has been sent by Rajitha to protect Senaratne. One more about corruption at SJGH. It appears that all affairs of/at SJGH are known only/mainly to CT readers and most probably to Minister RS, as SJGH is a rare private/public state entity. Usually public entities are visited/vetted by internal audits and those of the Auditor General. This was the norm till late eighties. The minister must be knowing what is happening and not caring. Unless another politician queries in parliament, nothing will happen – this is our wonderful land & the corrupt at SJGH know it. When there is corruption everywhere, one more is not noticed. The President & MPs are trying to survive and get back to the utopia. As it is, there is no remedy. I can ‘t stop laughing! Colombo’s most sought after couple? Sought after by whom? Rubbish! He is just a crony who had no money and became rich by stealing public money. Sought after couple? Soon they will be sought after by the police for arrest! Damn thieves, Susitha S and Ancy S! Just a couple of thieves! Why doesn’t the Chairman complain to the police? Unfortunate state of affairs and the nature of the third world politics. This exposure of fraud is sufficient for the IGP to order an Investigation and it is not necessary for anyone to complaint. Correct; but it doesn’t happen on Rajitha under Yahapalanaya. Where are the Civil activists; NGOs, HRW, International community. Tamil Diaspora, UNP’s back-benchers? Former Fisheries Minister Rajitha Senarahne had to resign from his seat becauze he was using his position to become a big businessman. Now he is the Minister foir Cancertheraphy is working for the European and most for the american big pharma and Biopharmaceutical companies. Ranil and MS are not educated in those areas. so the Good doctor can manipulate everybody. Ministry and the hospitals are owned by the Senarathne family. Very soon, they can retire from politics nd begina Humong Halth services company for sri lankan but affiliated with American and European companies. Patients sleep under bed. but, Cancer cure is the minister’s priority and not the cancer prevention environment, food and life styles. Parliament is the ROOT. Parliament is highly rotten. So the Beaurucrats zre. Everything is politicized and run by their relatives and friends. Even the news media is corrupt. News papers do not report at least a bit of the drama, these all zare chased out in no time. Just try to undertand the economic forecasts, economic reviews, the financial state of the govt. different UNP ministers give different evaluation. but media do no t report. Ranil also from time to time say thing. Itis always the wrong thing. But, there are so crooked idiots go behind Ranil beczuse they get paid from UNP the way or that way. FKed up country because of the govt. With respect to the hospitals Patients talk about lack of beds, medicine and even the prices of medications. What Rajith aSenarathne indirect way say. he build private hospitals, he is talking to importers to cut down medication prices and simply he is privatizing health. Even Africa and Latin America are advanced in HEalth than sri lanka. It might interest CT Editor and your readers to know that both Susitha Senaratne and Dr. Athula Kahandaliyanage are originally from Anuradhapura. I left SriLanka in 1959, as I was angry at the way the political thugs were behaving towards innocent Tamils. My boss at Tangalla (He is dead and gone ) was a Sinhalese Only Stooge. My parents were Sinhalese School Head Teachers. My boss and I both sat for the First Sinhalese Examination for Staff Officers .I passed and my boss failed. The corruption then was small fry. We are Buddhists Sil on Poya Days and Temple on Week ends. The President promised to sort out the corrupt Officers and their Stooges. Tangalle and surroundings areas where I worked were no go areas for outsiders. The President promised instant justice. We are still waiting. The Rajapakse clan, when they were the government of the day openly and without shame swindle the country to become one of the riches Asian Politicians. what more they get away with it. what do you expect people at the lower end of the food(aka fraud) chain to do? close their eyes and pretend nothing has happened. 17 million is a drop in the ocean compared to the mega fraud of the Rajapakse’s. but 17 million fraud by every one in the lower food chain adds up to a lot. If the President of the country can swindle why cant any one else down to the policeman ? Hats off to CT. Your great job is very much appreciated. Please continue this kind of exposures in the interest of Mother Lanka. Salute you again for your braveness. The PCoI on SriLankan Airline is unravelling the culture of corruption/nepotism/impunity on a scale beyond imagination. We, layLankans, believe that this culture has pervaded everywhere. Please Health Minister Rajitha Senaratne, look into the allegations. What a miserable lie it is! Rajitha Senaratne is in Geneva right now. Not in the country. Athula Kahandaliyanage and Susitha Senaratne are locking horns inside the hospital. Susitha Senaratne was seen in the court of appeal standing in a corner like a begger! Susitha Senaratne was in the hospital yesterday having a meeting with drunkard cronies to arrange a picket to get rid of Kahandaliyanage. What excellent connections? Do any of these low lives have any class? Do they have any education? They are Medamulnana type but certainly not in Medamulana yesterday! Are you CT in a pseudonym? Rajitha Senaratne, Sujatha, Chathura all were at Weeraketiya wedding. We have photos. They went in a helicopter and returned same. Athula Kahandaliyanage and Susitha Senaratne and his wife travelled to Thangalle in one car and then arrived at the wedding in separate chauffer driven cars. We have photos. Susitha wore a toxido, his wife a nice red satin gown. Athula wore a national dress. CT is in vein getting into big trouble by attacking Susitha Senarathne a bright young dr who is proteced by the top most politicians of this country. Is Susitha related to Rajitha and Chathura?